What Sowed The Seeds Of The Bitcoin Mania? 2017 was an unusual year where financial conditions actually eased despite the Federal Reserve raising rates. The financial tightness in 2015 and 2016 was catalyzed by weakness in the energy market. 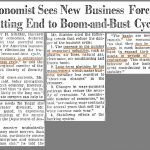 With the help of central banks, as we have previously stated, the economy narrowly avoided a recession. It’s still remarkable to see how much financial conditions have eased since. According to the Taylor Rule, financial conditions are the easiest since 1970. The Chicago Fed’s national financial conditions index has financial conditions the easiest since 1993. This explains why GDP growth was above 3% in Q2 and Q3 2017 for the first time since 2004-2005. 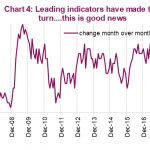 It also explains why stock volatility has been very low; the S&P 500 has been up for 13 straight months which is the longest streak since at least 1928 (the index was created in 1923). With low interest rates and easy financial conditions, it’s not surprising that we’ve seen intense speculation in bitcoin. The cryptocurrency space has had other years with great performance, but the break out in 2017 is partially a result of the easy monetary environment. As you can see, the financial conditions in the 1990s and in the past year have both been very loose. The economic expansions were both elongated which further increases speculation as traders forget what a recession is. The chart below compares bitcoin’s rally since 2016 with other bubbles. Cryptocurrencies exhibit the classic signs of speculative bubbles as they grow through word of mouth. People are hearing about cryptocurrencies and buying them because they are going up. This is akin to investors not caring if tech stocks in the 1990s had a real business model; crypto speculators don’t know much about what they are buying. There are stories of investors calling their financial advisors asking if they can buy stock in bitcoin; that shows how little retail speculators know about what they are getting into. The chart below shows the amount of accounts the Coinbase cryptocurrency exchange has. As of November 26th, the company had 13.3 million users. Its app was the 4th most downloaded app in the AppStore in the finance category in late November. To get an idea of the limit to the amount of Coinbase accounts that can be opened, we can compare it to brokerage accounts. As of 2013, 14% of American households had a brokerage account. There were 125.82 million households in 2016 which translates into 17.61 million households with brokerage accounts. There are a few caveats to this comparison. Some households have multiple brokerage accounts. Coinbase isn’t the only company that has U.S. customers. Thirdly, it has some international customers. It’s impossible to get an exact estimate on the limit to the number of retail accounts that will be open. This point simply aims to give context to Coinbase’s penetration rate. You can’t value bitcoin like a stock because it provides no cash flow. Commodities also don’t have cash flow, but we can get an idea what they are worth based on break even costs to produce them, the growth of usage and demand, and if there’s market manipulation from organizations like OPEC. Bitcoin is even more difficult to value than gold because it has such a short history. 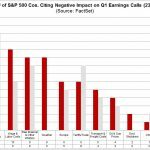 The fact that it is tough to value means it is risky, but also has more potential upside. There is no upside in a security when an event occurs that meets the market’s expectations. The key to delivering alpha is getting in the security before the good news is priced in. The charts below aims to predict where the price of bitcoin is going. 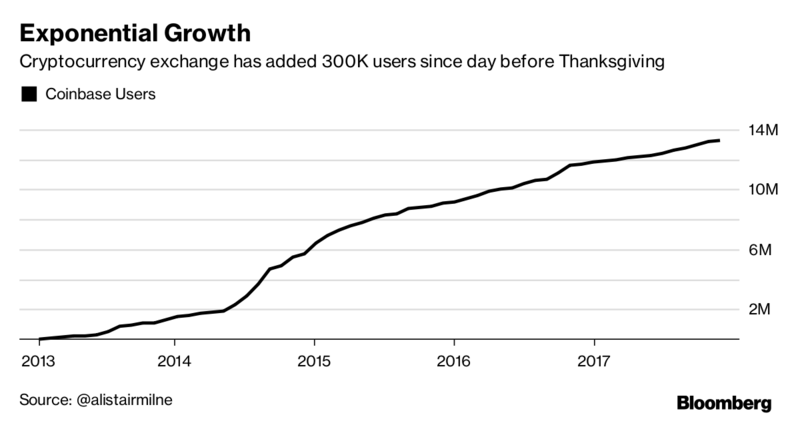 The best indicator we have of where the price of bitcoin is going is the number of users. This isn’t a perfect metric because the number of users is increasing partially because of new speculation. However, in theory, the currency is more valuable when more people are using it, so this metric has some worth. As you can see in the top chart, the unique active addresses are compared with the market cap of bitcoin. This shows it has gotten over-heated in the past few months. 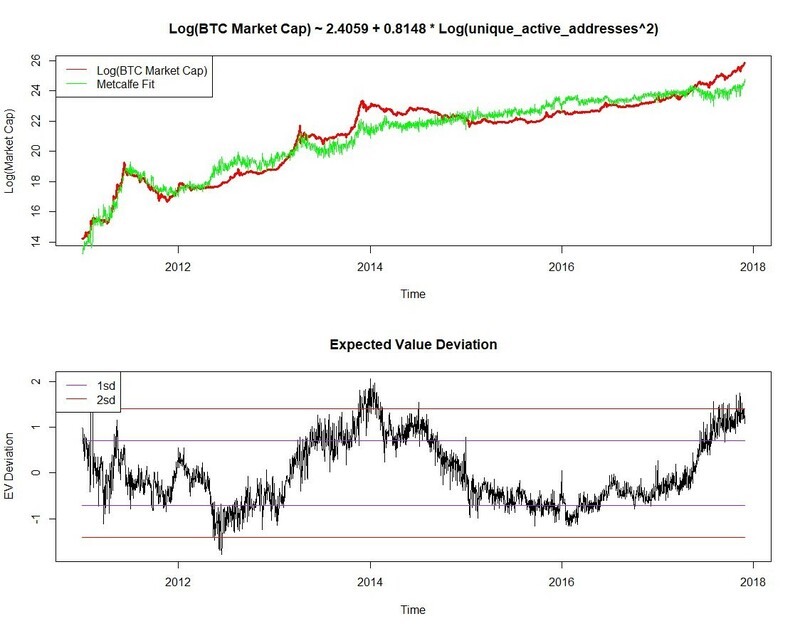 The second chart shows the standard deviation of the relationship between the unique active users and the market cap of bitcoin. The speculation in bitcoin is nearing where it was at in early 2014. Bitcoin uses so much energy that if it was a country, bitcoin would have the 64th most energy consumption. It already uses more energy than Oman, Bahrain, and the Slovak Republic. Its consumption is equivalent to 0.7% of the energy consumption in the US which is the same as 2.8 million households. Visa processed 82.3 billion transactions in 2016 and it used the amount of energy equivalent to only 50,000 households. 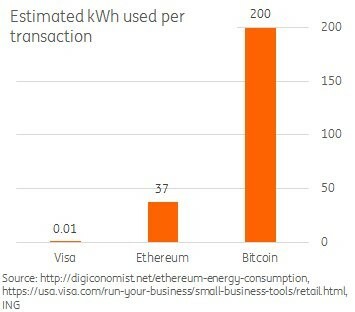 Visa would go bankrupt if it used as much energy as bitcoin. As you can see from the chart below, ethereum is much more efficient than bitcoin, but not close to Visa. This is just one example of how far cryptocurrencies must improve to be in the mainstream. We won’t make a price prediction on bitcoin because that would be foolish as there’s no way of knowing where it will go next. 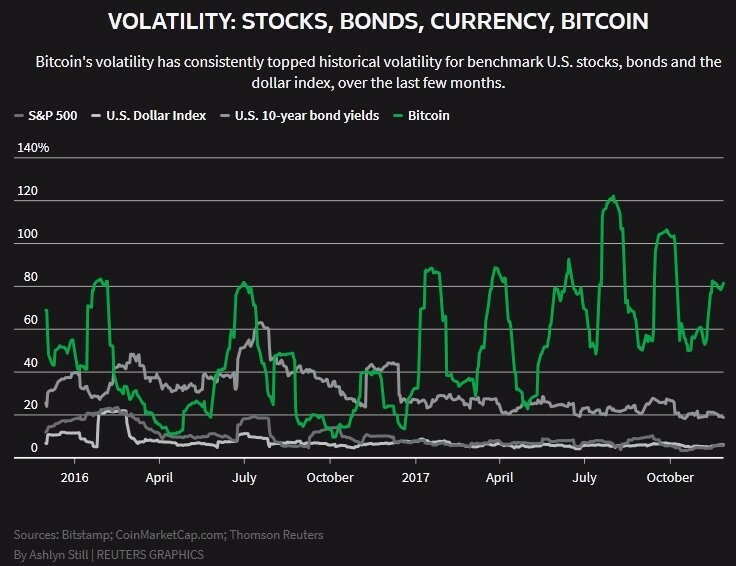 It has extremely high volatility. As you can see from the chart below, its volatility has exceeded the volatility in the dollar, the 10 year U.S. bond, and the S&P 500 by far. That all being said, the takeaway from this article is a new look at why bitcoin is ramping higher this year. Cryptocurrencies are like tech stocks in the 1990s; there is a lot of speculation, but not a visible plan nor monetized business to demonstrate how the technology will be utilized by the mainstream. 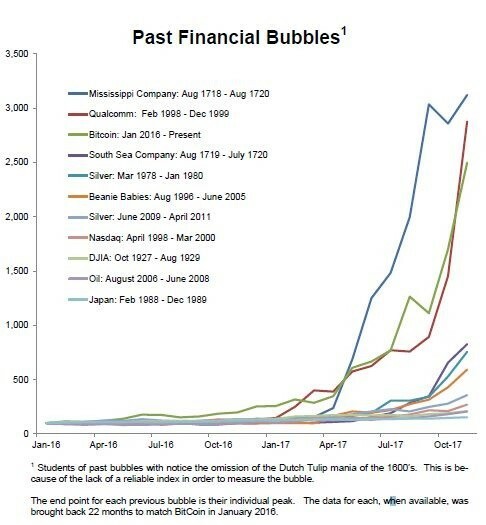 If part of the reason behind the rally is the easy monetary conditions that provides a rampant environment for speculation, then the central bank quantitative tightening in 2018 and 2019 could be a negative catalyst that forces speculation in cryptocurrencies to subside, with it making fundamental analysis more important than technicals, much like ultimately occurred during the tech bubble of the late 1990s. 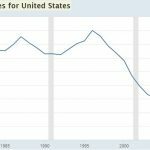 PreviousDoes Technological Improvement Hurt Productivity? NextWhat Performs Best During Inverted Yield Curve?